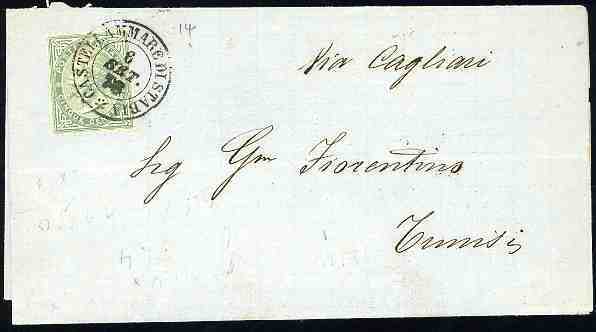 TUNISIA INCOMING MAIL: Italy Torino printing, 5c, extremely fine, cancelled "CASTELLAMARE DI STABIA 6 SET 76" on printed matter send to TUNISIA, via Cagliari (no postmarks on reverse). A very unusual destination for a printed matter. Zanaria records only 24 covers (in general) of this period to Tunisia.